Everyone loves a professional manicure, and the visible results are always wonderful – professionally polished nails look neat, colorful and perfectly shaped. However, beyond the aesthetics, there are several important health benefits that come from having a professional manicure and pedicure. When the nail technician massages nourishing creams into your hands and feet, the benefits go below the surface. Massage stimulates blood circulation, which improves oxygen delivery to your extremities. Oxygen is a crucial element for health that converts nutrients into energy for your cells. Exfoliation is one step in the manicure/pedicure process. Exfoliation removes the dead skin cells that make skin appear dull and stimulates the production of new skin cells and collagen. This cycle of rejuvenation keeps skin looking young and prevents wrinkles. Fungal infections can happen before we even know the fungus is there, especially in the feet, which can be a moist, ideal environment for fungal growth. A professional nail technician can spot fungus and treat it before it becomes a problem. Other conditions can also be prevented through a regular schedule of manicures and pedicures, such as ingrown nails, chipped and cracked nails, and hangnails. Finally, the pampering of a professional manicure and pedicure just feels great. In our busy world, taking some time to de-stress is so important! To experience the benefits of professional manicures and pedicures for yourself, make an appointment today at Utopia Salon & Day Spa. 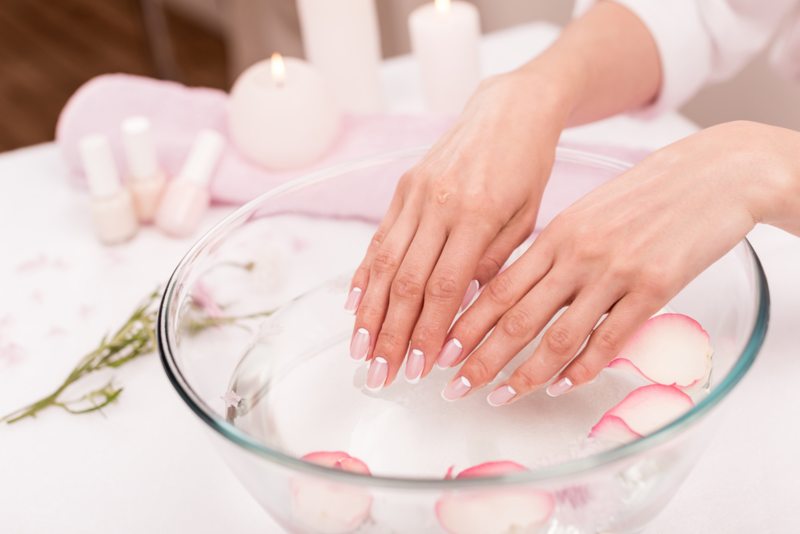 Our well-trained, professional nail technicians will help you determine the best schedule for regular treatments to keep your hands and feet healthy and beautiful. Find us at 510 North East Avenue in Vineland, New Jersey or call us at 856-794-9200 to schedule an appointment. Prefer to instantly schedule an appointment yourself? Download our free mobile app at the iTunes Store, Google Play, or on Amazon.